With all the changes Infolinks introduced in the past couple of weeks you probably think we have maxed out our exciting news. Well, we most certainly have not! While we have already made-over our logo, website and all of our products (including the introduction of InTag and InFrame) it doesn’t stop there. Infolinks is now releasing an even better version of the Infolinks Plugin for of our WordPress publishers. The new Infolinks WordPress plugin was designed with you in mind. It couldn’t be simpler to place your very own combination of Infolinks ad products on your site. The new plugin is faster and more user friendly. Just download the plugin, upload it to your site and activate it. You don’t even have to enter your PID (Publisher ID) or your WSID (Website ID). Infolinks will respond once your website is accepted and deliver both numbers to the plugin automatically. That’s it –three quick steps! Once your website is approved your ads will appear within moments and you’ll be on your way to earning money. Plugins are like little shortcuts for bloggers and website owners. They are designed to deliver the product faster. For example, the Facebook Social Plugin helps share your posts within seconds to your Facebook page, adding convenience and speed to your Social Marketing efforts. Most plugins are created to work automatically to make your life easier once they are uploaded. The Infolinks WordPress plugin is no different with its simplicity, ease-of-use and its time-saving functions. Setup your Infolinks ads in record time without having to worry about HTML codes and website sources. Infolinks believes in in the power of plugins so much that we have a plugin for each website building platform that we work with. We created these plugins so that all of our publishers using major site-building platforms can enjoy the ease and simplicity of a plugin. Whether your site runs on WordPress, Blogger, Joomla or Drupal, you can set up your Infolinks account with a practical plugin in no time at all. Stay tuned for new upgrades for these as well. 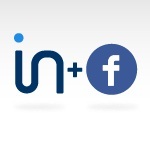 Infolinks even uses a few plugins on our own website, like our brand new Facebook Connect option. Facebook Connect allows Infolinks publisher to cut the already speedy account creation time in half. It also allows you to access your Publisher Center via your Facebook account. Convenient and easy! Whenever you’re logged into Facebook you are only one click away from your reports, customization tools, notifications and more. Whether you are already an Infolinks publisher or you have just signed up, implementing one of our plugins is a smart move. Join Infolinks now to reap the benefits of our latest WordPress plugin. If you’re already a Infolinker and you would like to add more websites to your Infolinks network, you can do so by logging in to your Publisher Center and adding websites to your account via our easy-to-use plugins.